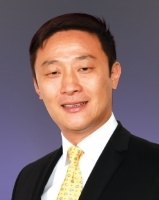 Mr Sun is Chief Executive Officer and Executive Director of KFM Kingdom Holdings Limited. Widely known as a prominent industrialist, he has committed himself to supporting innovation and knowledge transfer. In 2003, Mr Sun collaborated with PolyU through EuAuto Technology Limited to develop “mycar”, an electric vehicle. His outstanding contributions toward society and the industry have earned him numerous awards. He was awarded a Medal of Honour by the HKSAR Government in 2006 in recognition of his contributions to the development of the manufacturing industry.